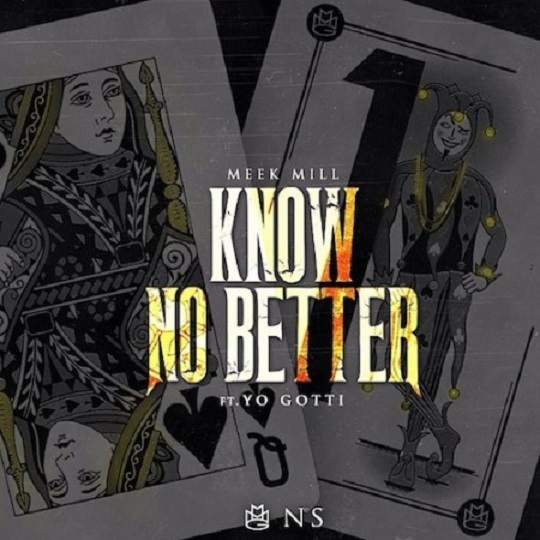 Meek Mill links up with Yo Gotti for a new street anthem titled, “Know No Better.” Producer, Cardo, does the honors of delivering another ominous banger for the track’s instrumental which showcases some haunting keys and choppy percussion. Mill’s latest single finds both rappers dropping plenty of boastful rhymes about their lavish lifestyles and stable of women. Take a listen to the latest offering from the young MMG artist. This entry was posted in Audio and tagged Cardo, hip hop, know no better, MMG, rap, Yo Gotti. Bookmark the permalink.